Hello again, yes, it's been way too long since my last post! The week before Christmas was a bit chaotic, the heating system broke down (we managed to get it fixed Christmas eve! ), we had to take the rabbit to the vet (he's ok now), I received a last minute commission with a tight deadline (I've finished that, it's in the mail, phew! ), Isabelle had a 24hr vomiting bug on Christmas Day and then when I thought nothing else could go wrong, my car broke down. Anyway, it wasn't too bad after that, we all needed a rest and I'm looking forward to the new year. Isabelle's back to her old self again now, thank God. So, today was the first time I managed to get back into my craft room, it's badly in need of a tidy up, the mess had extended itself from my desk, to the floor and surrounding areas. I'm halfway there with the clean up, I thought I'd better do a blog post, it's been SO long since my last one! 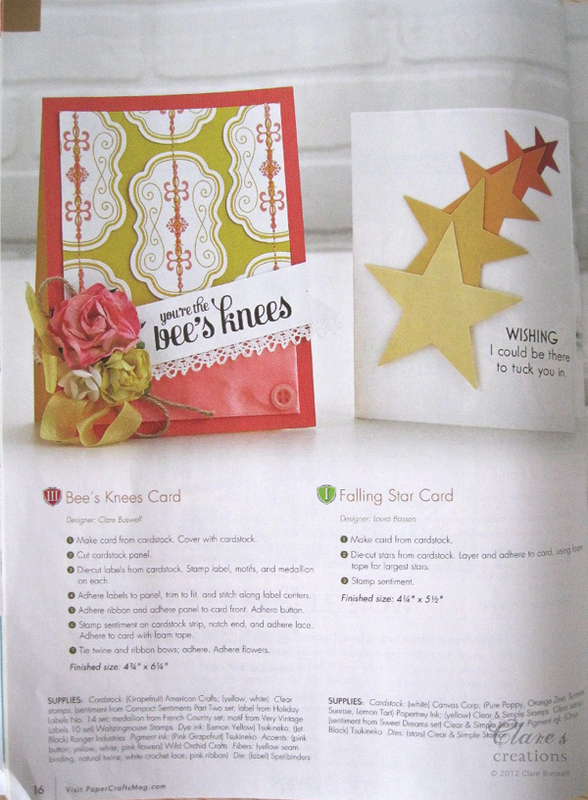 So, I've a couple of publication cards to share. This first one is in the new 75 Creative Card Challenges issue by Paper Crafts Magazine, I have to say this is one of my favorite issues, it's full of ideas, definitely a 'must have' issue! 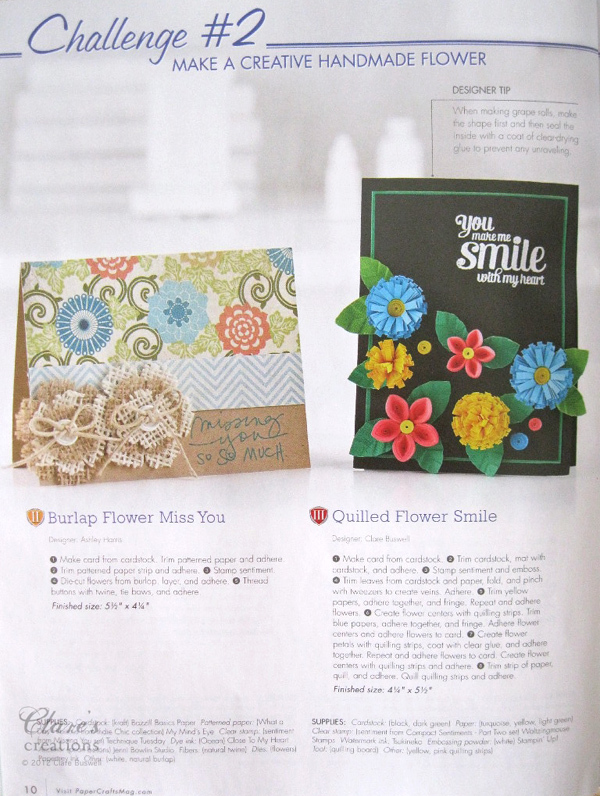 Here it is on page 10, it's Challenge #2 - Make a creative handmade flower, next to a stunning card by Ashley Harris. I don't normally make black cards but I love how the bright quilled flowers really pop next to the black. 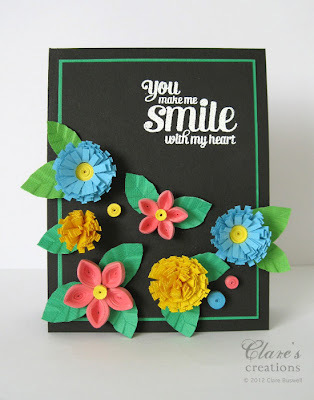 The sentiment is embossed in white and is from Compact Sentiments - Part 2 by Waltzingmouse Stamps. 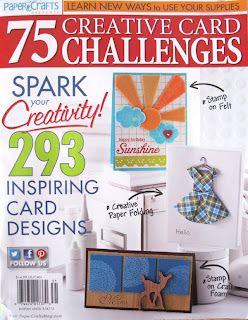 I was lucky enough to have a second card published in this issue, it's on page 28, Challenge #12 - Make your own ruffle, but you'll have to pick up a copy to see that one. My next card is in the special issue Die Cutting for Paper Crafters also by Paper Crafts Magazine. This one's on page 16, it's a little more fancy than the last one. 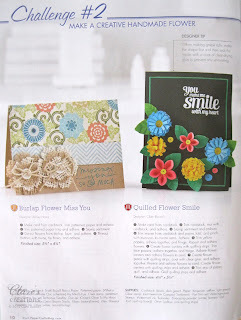 I used Compact Sentiments - Part 2 from Waltzingmouse Stamps again (because I love it!). For the background I used one of the labels from Holiday Labels No.14 also from Waltzingmouse Stamps to create a background and die cut them using Spellbinders Labels 14. I also stitched along the centers. 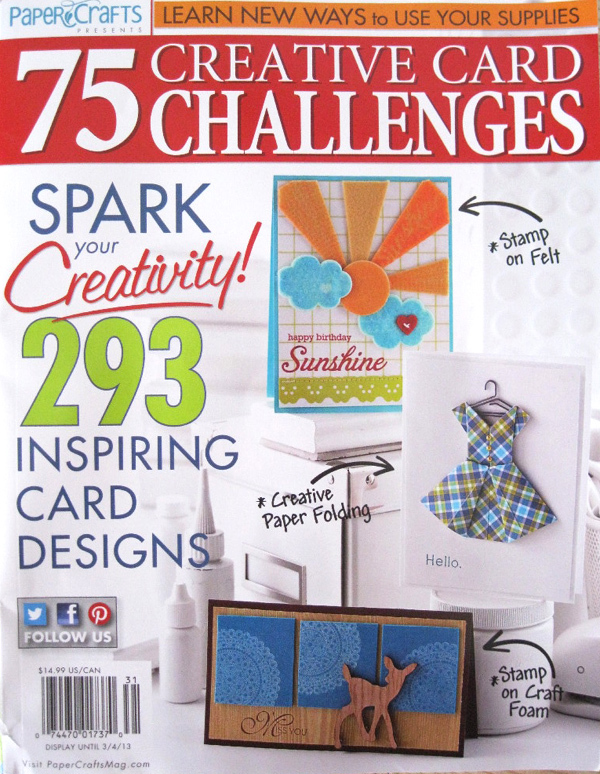 Here it is in the mag, I'm sharing a page with the awesome Laura Bassen, her fab card is on this issue's cover!! 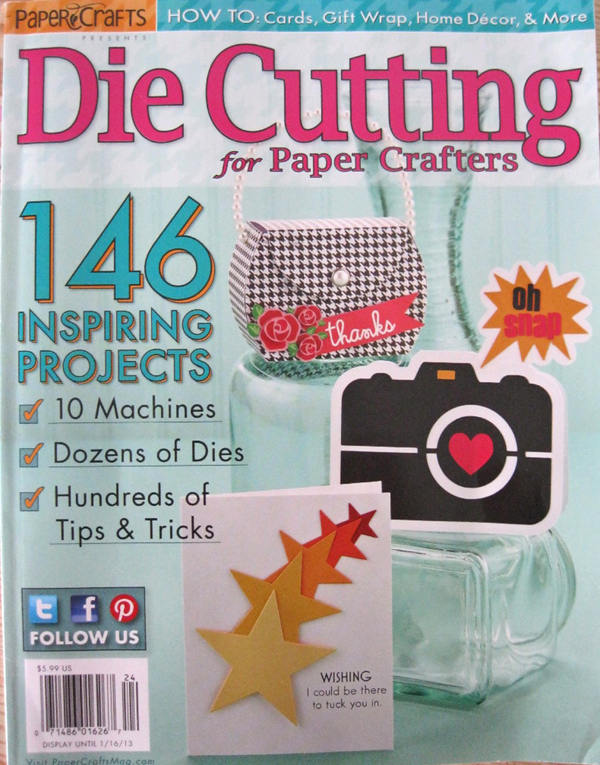 I've a second card in this issue on page 32. But you'll have to pick up a copy of this great issue to see that one! I might be back later with another post but if I'm not Happy New Year!! : ) I'm off to check on my homemade marshmallows, it's my first time attempting them, I finally got a sugar thermometer!